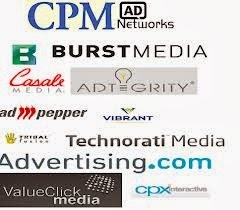 you need some ad networks as sponsored Ads toy your website to earn more revenue share in online advertising. Most top ad networks no other than Adsense it is extremely overwhelmed to pass adsense as ad publisher of their company, but sad to say its very difficult to approve your application even though you follow 12 adsense requirements approval. Top 10 – CPM AdNetworks part 2 (Getting into the network is easy. Offer paypal Payment and timely Payments.